After putting four kids through Boulder, Colo. schools, Sylvia Tawse was tired of talking about changing the district’s lousy food. She wanted to do something about it. A successful public relations entrepreneur, caterer, and owner of a vegetable and flower farm, Tawse for years had been involved in school issues. 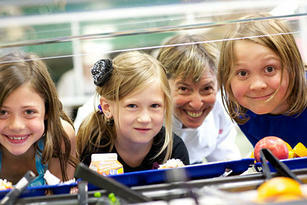 A task force she had helped form with other parents had turned its attention to Boulder’s school cafeterias. But it was going nowhere.